An avid reader, The Duchess of Cornwall has a strong interest in shining a spotlight on the importance of literacy. Her Royal Highness is Patron of several organisations which promote and support literacy, including: National Literacy Trust, Book Trust, First Story, the Wicked Young Writer Awards and Beanstalk. The Duchess is a passionate supporter of BBC Radio 2's 500 Words creative writing competition. This year, Her Royal Highness is an honorary judge. In 2015, The Duchess attended the live broadcast of the final at St James's Palace. Her Royal Highness addressed finalists, competition judges and Radio 2 listeners about why reading and storytelling is so important. "Whether exotic or every-day, heart-warming or heart-stopping, stories help us to understand our world and the people in it." In January, The Duchess toured the Seven Stories National Centre for Children's Books. Her Royal Highness saw how the centre uses its exhibition and performance spaces to engage children. In February, The Duchess attended creative writing workshops run by the charity First Story at Holland Park secondary school in London. During the visit, Her Royal Highness presented a prize to the winner of First Story's National Writing competition. The Duchess also visited and officially opened the offices of First News, the world's most successful children's newspaper. In October, Her Royal Highness presented the Man Booker Prize for Fiction 2015 to Jamaican-born Marlon James for his novel, 'A Brief History of Seven Killings'. 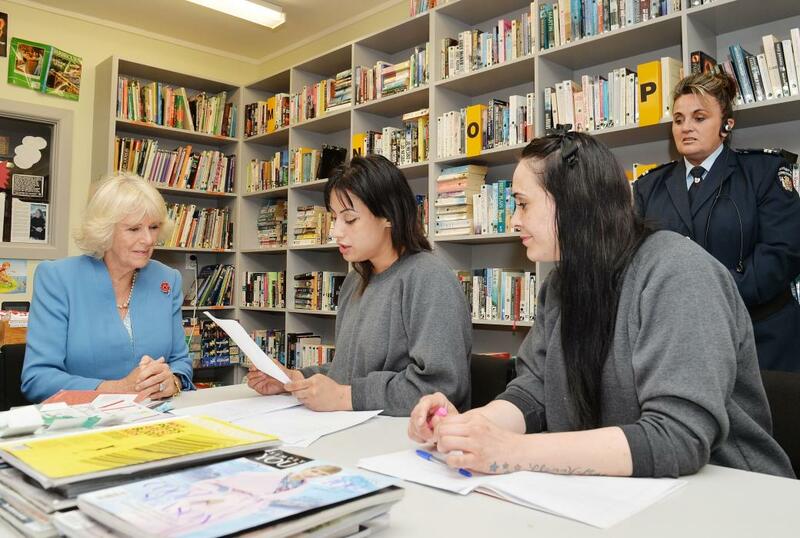 In November, The Duchess visited Arohata women's prison in New Zealand, to learn more about the prison's creative writing programme. Her Royal Highness also visited St Thomas More College Primary School in Malta which runs a literacy programme that is affiliated to Book Trust's Bookstart initiative in the UK.